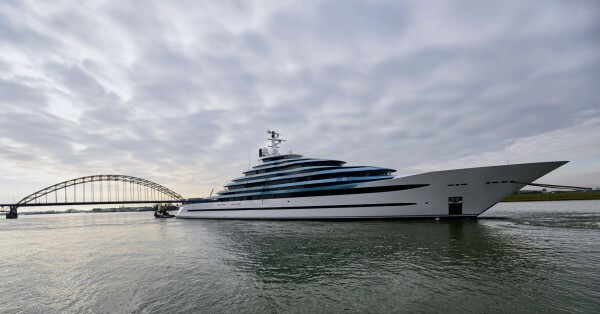 After over five years under construction, Oceanco has launched 110m Jubilee (Y714) to claim the title of the largest yacht ever built in the Netherlands. But, despite the yachts length and immense 4500gt volume, Jubilee still maintains a certain elegance thanks, in large, to her well balanced exterior, styled by the Italian studio Lobanov Design. 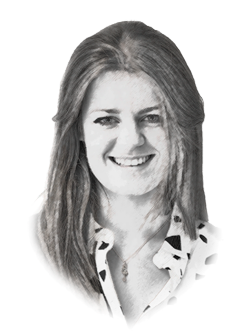 Having been introduced to the shipyard by Burgess, which also provided technical consultancy and project management throughout the construction process, the yacht was sold by the brokerage firm in October 2012. Since then Jubilee managed to steer clear of the media until she was spotted on 19 March 2015, during the technical launch from the Zwijnenvurg subcontractor facility in Rotterdam. 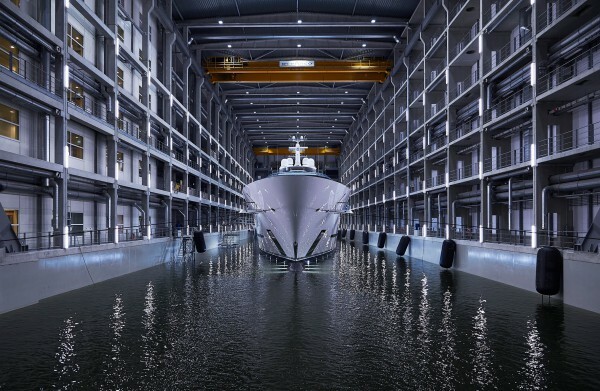 With six decks to consider and integrate into the yachts profile, the complexity of the design is likely to have resulted in a number of architectural challenges for Azure Naval Architects and Oceanco, which collaboratively took charge of the naval architecture. Having previously produced 85m St Princess Olga in 2013, this is the second project Igor Lobanov has successfully completed for Oceanco. Although the lines initially appear straight in the superstructure, upon closer inspection there is a lovely sloping foredeck line which adds character to the yachts profile in addition to the forward balconies on each deck, which collectively create a ballooning effect making Jubilee truly unique. Described by the shipyard as a ‘visual and technological tour de force’ Jubilee offers a fully certified helicopter operating deck forward, with a concealed mooring deck below. 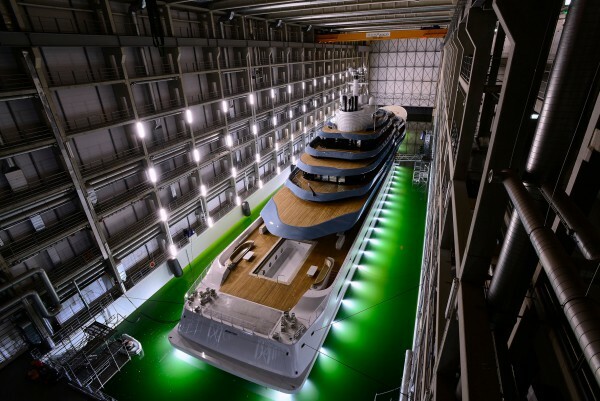 The 110m superyacht is also the first vessel to take advantage of the new 62,000sqm, 140m Oceanco facility. Jubilee will now undergo an extensive period of sea trials in the North Sea prior to her delivery which is scheduled for summer 2017.